The Roland Park Roads and Maintenance Corporation was incorporated in 1909. It received ownership of common property from the Roland Park Company. It enforces covenants, collects maintenance fee mandated in each property’s deed and owns the network of footpaths. Maintenance of the footpaths and other common areas is the responsibility of the Civic League’s Maintenance Committee. The primary service presently provided by the Roads and Maintenance Corporation is Covenant enforcement. The review of applications for exterior changes to properties is handled by the Architectural Review Board of Roads & Maintenance, which comprises volunteers from each Plat whose own properties are under covenant. Legal action to enforce the covenants is taken as needed. Guidelines for changes to properties and the application form can be found online. Roads and Maintenance is unable to function on just the basic fee. For several decades it has relied heavily on voluntary fees. In 1985 we began asking for a total of eight times the basic fee and approximately $100,000 is given voluntarily each year. The annual total of basic fees collected each year is only $26,000, but with the voluntary supplemental income our total annual revenues reach approximately $130,000. Slightly more than two thirds of the budget goes to pay the contractor for landscaping work. The remainder of the budget covers the shared expenses of maintaining the office with the Civic League and Community Foundation and miscellaneous variable costs such as plowing the lanes during heavy snows or legal costs. There is a small reserve fund which allows the corporation to function at the beginning of the year and to deal with emergencies and lawsuits. Every effort is made to spend the maintenance funds prudently. By purchasing services in bulk we are often able to provide them at significant savings. The prompt payment of the full fee by all residents is encouraged. Two billings are mailed per year. Roads and Maintenance now has one division: the Architectural Review Board. The Architectural Review Board meets monthly, usually on the 3rd Wednesday, at the home of one of its members to review applications for exterior changes to properties. These meetings are closed, but its president serves on the Civic League Board to give a public report and to answer questions. 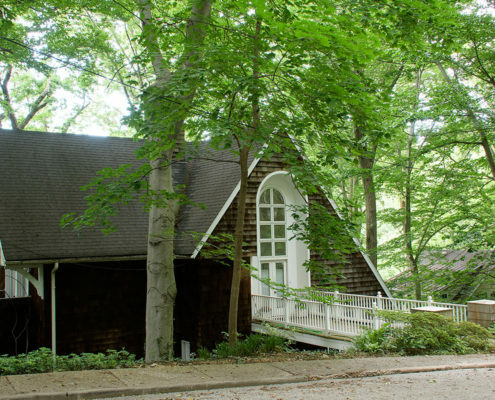 The Civic League approves each new Board member, whose own property must be under covenant. Roads and Maintenance shares a phone and office with the Civic League (410) 464-2525. A list of officers and representatives can be found on the Contacts and Addresses page. All residents are encouraged to participate in the Corporation’s effort to maintain and improve Roland Park. Roland Park is divided into 6 Plats. A map of the Plats is available on the Roland Park website, rolandpark.org, under the “Community Resources” tab, “maps & paths”. The various Plats were developed at different times, during which ideas about covenants evolved. The original deeds for all properties contained covenants. Plat 1 properties are all under covenants which run in perpetuity. Plats 2 – 6 were all originally under covenant, but these covenants expired at various times. Several covenant drives to have property owners sign more modern covenants have taken place since the 1950’s in Plats 2 – 6. These newer covenants do not expire. The new covenants have been recorded in the Land Records of Baltimore City. Because these are separate from the original deeds, they are not as easy to locate in a cursory title search. Most, but not all properties in Roland Park are under covenant. Having the Land Records online (https://mdlandrec.net/main/) makes it possible to research the covenant status of properties from a computer instead of going to the Circuit Court to find them. The Roland Park office at 410-464-2525 or office@rolandpark.org/is the best source to determine whether or not a property is under covenant. The Architectural Review Board of Roland Park Roads and Maintenance meets monthly to review applications for exterior changes to properties, required for all properties under covenant. The President of Roads and Maintenance (RMPresident@rolandpark.org) is happy to speak with real estate agents about the covenants in Roland Park. 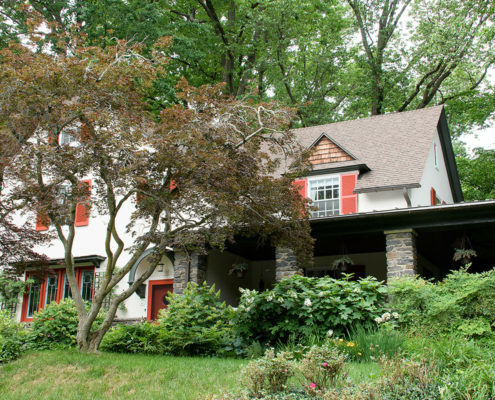 All homes in Roland Park have fees mandated in the original deeds from the Roland Park Company to the original owners which are owed annually to Roland Park Roads and Maintenance Corp. These fees vary according to property location and size. The Roland Park office can provide the annual fee amount. This fee is independent of covenant status of the property.